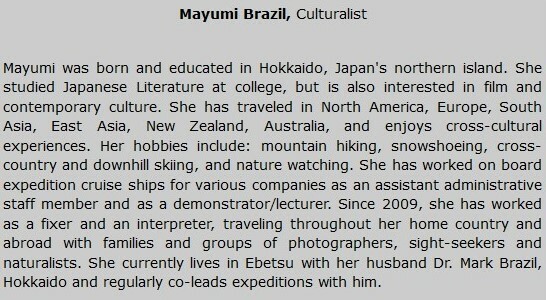 Good to be back in Seattle after a brilliant ship trip to West Africa! 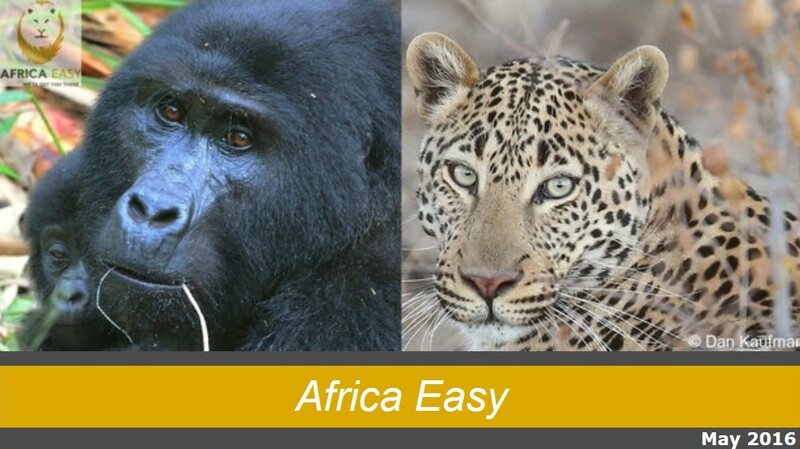 The Africa Easy Team has been focusing on new and innovative itineraries and different ways of combining outstanding and diverse safari experiences. 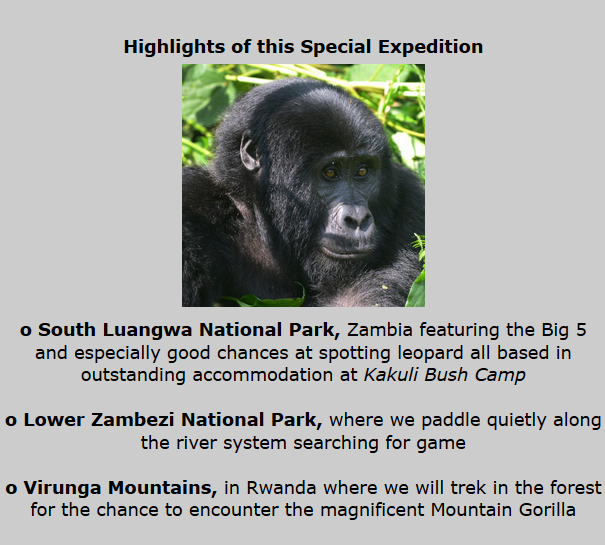 With this goal in mind, we are so very pleased to announce the addition of a brand new itinerary – Zambia & Rwanda. Featuring iconic and endangered wildlife along with breathtaking scenery, these two rarely combined safari destinations encompass all the wonder that is African natural history! 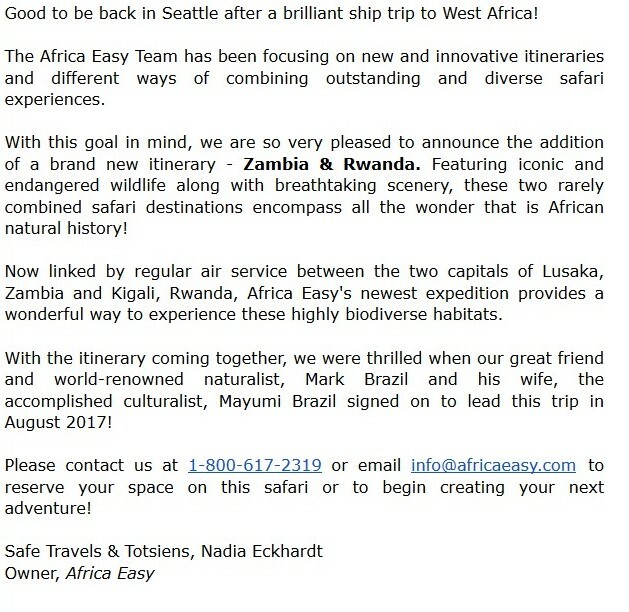 Now linked by regular air service between the two capitals of Lusaka, Zambia and Kigali, Rwanda, Africa Easy’s newest expedition provides a wonderful way to experience these highly biodiverse habitats. 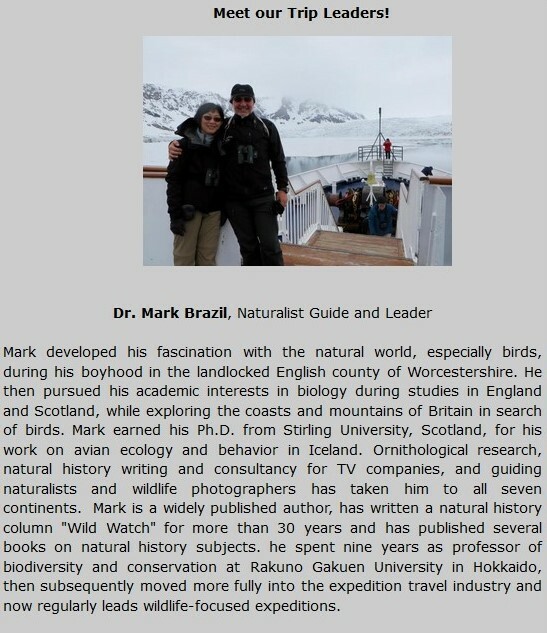 With the itinerary coming together, we were thrilled when our great friend and world-renowned naturalist, Mark Brazil and his wife, the accomplished culturalist, Mayumi Brazil signed on to lead this trip in August 2017! 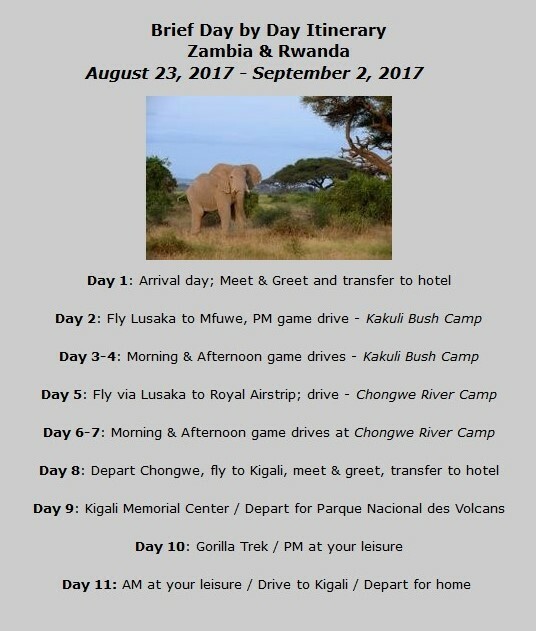 Please contact us at 1-800-617-2319 or email info@africaeasy.comto reserve your space on this safari or to begin creating your next adventure!